There are many different possible applications for the RTIS™ system. In the past, unless we could afford a pathologist in our own offices, the best we could do was sending samples to a pathology lab and waiting for a report. Sometimes it can take hours or days to send things from where a sample is taken to a pathology lab for a consultation and a report. 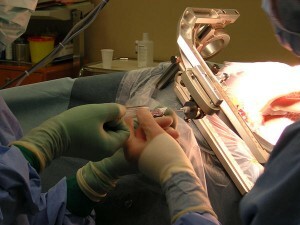 And often times the answers provided are simple notes indicating “benign” or “malignant”. With the RTIS™ system that all changes! 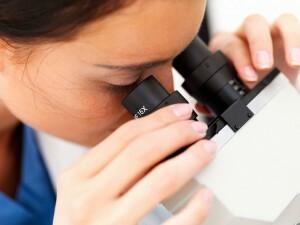 Now a sample can be taken, put into a microscope immediately and a real time consultation with a pathologist can begin. With our RTIS™-Pro system there can be up to 100 users consulting simultaneously seeing the info on various monitors and interacting in realtime! 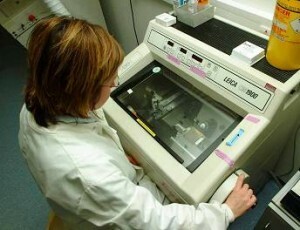 Waiting for the pathology report can become a thing of the past. And much more detailed information can be passed instead of a simple report. There are many applications for this technology. Click on the buttons below to learn more.